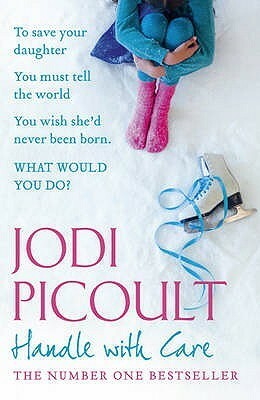 jodi picoult – It's Time to Read! “Every expectant parent will tell you that they don’t want a perfect baby, just a healthy one. Charlotte and Sean O’Keefe would have asked for a healthy baby, too, if they’d been given the choice. Instead, their lives are made up of sleepless nights, mounting bills, the pitying stares of “luckier” parents, and maybe worst of all, the what-ifs. What if their child had been born healthy? But it’s all worth it because Willow is, well, funny as it seems, perfect. She’s smart as a whip, on her way to being as pretty as her mother, kind, brave, and for a five-year-old an unexpectedly deep source of wisdom. Willow is Willow, in sickness and in health.” Everything changes, though, after a series of events forces Charlotte and her husband to confront the most serious what-ifs of all. What if Charlotte should have known earlier of Willow’s illness? What if things could have been different? What if their beloved Willow had never been born? To do Willow justice, Charlotte must ask herself these questions and one more. What constitutes a valuable life? I haven’t read a Jodi Picoult book in a long time but when my friend recommended this book at our book club I thought I would give it a try! This story follows the O’Keefe family. When Sean met Charlotte, she was a single Mum to Amelia. After they marry, it takes them a long time to conceive Willow. She is precious and greatly loved. But she has a disability – she suffers from a severe form of brittle bone disease. She is born with 7 broken bones, and will spend the rest of her life watching others do things she would love to do but can’t in case she breaks a bone. Life is a strain for them – money is tight because of medical expenses and everything is a hazard. After a trip to Disney World things start to go wrong for the family. Willow falls down and suffers a serious break. Amelia forgot the letter that explains Willow’s condition so Sean & Charlotte are accused of abuse, meaning Willow is left alone in the hospital for the night while Amelia is taken into care. It takes several hours for the situation to be sorted and Sean is left humiliated and furious. He decides to pursue legal action against the hospital but this won’t be successful. However, instead they are offered the chance to sue for wrongful birth – meaning had they been told early enough in the pregnancy about Willow’s condition they would have aborted her. Sean isn’t sure he can do that, but Charlotte decides they need the money to help support the family and pursues the lawsuit. However, this ruptures the family, with Sean filing for divorce; it leads Amelia to self-harm and develop an eating disorder and it ruptures friendships – the person who should have spotted Willow’s condition in the womb and the person Charlotte is suing was her best friend Piper. The biggest problem with the lawsuit however is this: Willow is going to be told they wish she hadn’t been born. How can this turn out well? I was saying to a friend a couple of months ago that I haven’t read a book that has moved me for a long time. However, this book has done just that. I read this a few weeks ago and I’m still thinking about it. I find Jodi Picoult books do that. Years ago I read Nineteen Minutes when it was released, and I still think about this sometimes. What would I have done if my child had been the shooter? This book had the same effect on me – what would I have done? How would I cope with all the broken bones? How would I cope with the rising medical bills? How would I deal with the worry/stress/anxiety? Reading through this book, I don’t think I would have made the decisions that Charlotte made – but then I’ve never been there and I don’t have children so how would I know? It’s difficult to describe what I felt reading this book. It’s not a happy read. In fact, it is quite depressing. Yet it is a compelling read. I had to keep going. I had to know what was going to happen. I didn’t like Charlotte and didn’t really like Sean either. They weren’t a unit and their girls needed them to be. Yet I loved Willow. She was sweet, clever and endearing. I felt for her as she faced so much pain – both physical and emotional. The more I read, the more I learnt about Willow’s condition and about the malpractice lawsuit. It was a fascinating and heartbreaking read. I didn’t like the ending at all. I didn’t want the lawsuit to go the way it did but for me that wasn’t the worst thing for me. For me, the final chapter spoilt the book. They got so far, things were improving for the family and then Picoult writes that chapter. It felt me cross to be honest – I felt like it was a let down and perhaps a cop-out. I’m conflicted about this book. I enjoyed it, yet I didn’t enjoy it. There were many issues in this book to deal with – which I think Picoult did. To be honest, I don’t think every storyline was needed – and perhaps the eating disorder and self-harm resolution was a bit unrealistic – a friend “happened” to notice her being sick. That said – Willow seeing Amelia self-harm and then trying it herself and nearly dying was heart-wrenching; yet had the friend not noticed Sean & Charlotte wouldn’t have realised what Amelia was doing. 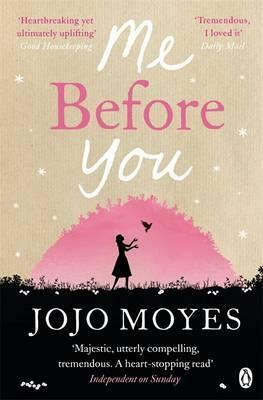 I’ve rated this 4 out of 5 because this book did move me. I’m still thinking it through. The story was interesting and did keep me gripped. It is a sad story with a horrible ending but I will be recommending this book to people – although perhaps I might warn them that this isn’t a cheerful book.